Describe and interpret the clinical image. Both hands are making the ‘devil’s horn’ sign well known to heavy metal aficionados. The finger positions are slightly different on the right hand compared with the left. The middle and ring fingers are not as completely flexed at the metacarpophalangeal joints and the little finger is not completely extended. There is an open wound on the dorsum of the right hand overlying the proximal 5th metacarpal, with a white structure protruding from, or visible within, the wound. 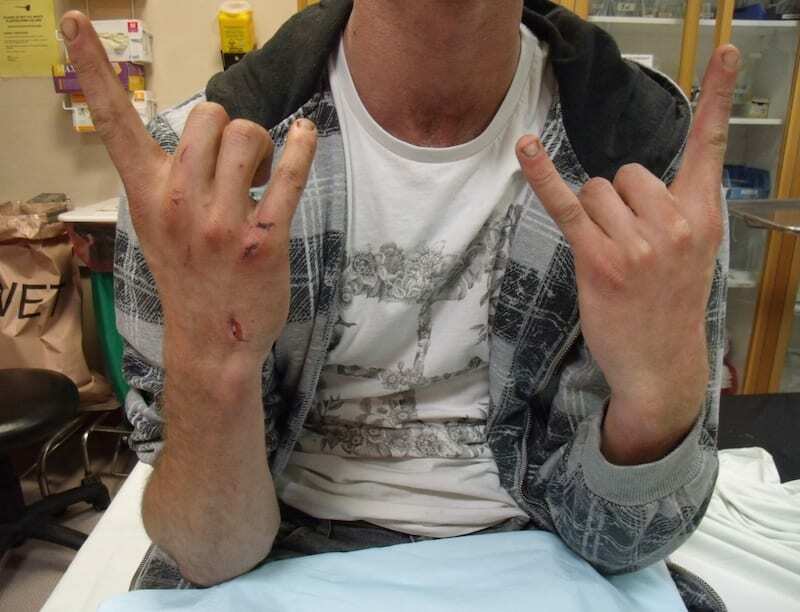 There are other superficial wounds overlying the metacarpophalangeal joints and phalanges on the dorsum of the middle, ring and little ringers of the right hand. 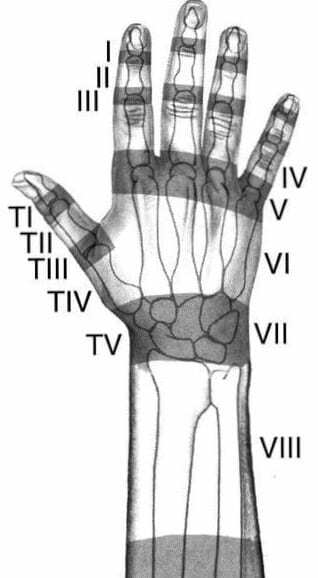 The findings are consistent with a ZONE 6 extensor tendon injury of the right hand, affecting extensor digiti minimi. The white structure seen within the wound is the transected tendon. What are the zones of the hand? These zones are worth knowing as the anatomic location of extensor tendon injuries influences treatment. Zone 6 extensor tendon injuries may occur with seemingly trivial skin wounds as the tendons are very superficial in this region. 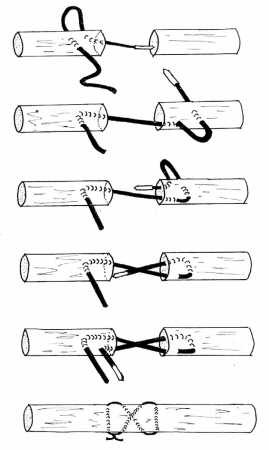 Any wound in Zone 6 involves a tendon injury until proven otherwise! Why are these injuries potentially difficult to detect clinically? It is easy when the severed tendon is on view! Always move the nearby joints through full range of motion when assessing a wound to ensure tendon injuries aren’t missed. Depending on the position of the hand at the time of injury, the site of tendon injury may be distant from the wound at the time of examination. 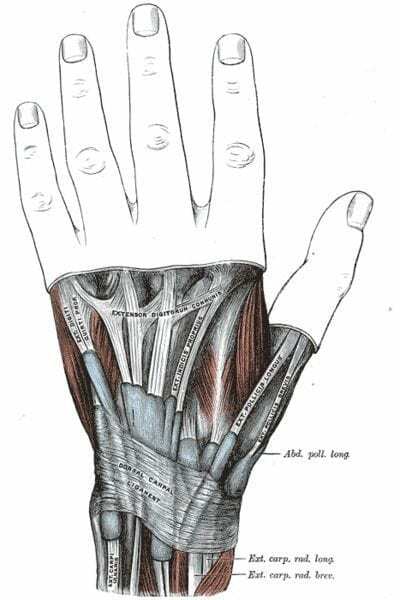 Extensor tendons of the 2nd to 5th digits of hand are connected by the juncturae tendini (fibrous bands passing obliquely between the diverging tendons of the extensor digitorum and extensor digiti minimi on the dorsum of the hand) near the metacarpophalangeal joints, as shown below. Extensor tendon injuries proximal to these connections can be missed because the affected digit can still be extended (with less strength) by the action of the adjacent extensor tendon transmitting force through the juncturae tendini. To detect functional impairment from these injuries test active extension of the affected digit with the other digits flexed at the metacarpophalangeal joints. For the little finger, and presumably the index finger too, this can also be done by performing the ‘devil’s horn’ sign! How is this injury managed? Zone 6 extensor tendon injuries can usually be repaired by a figure-of-eight stitch (or similar technique) using 4-0 non-absorbable sutures and a straight needle. 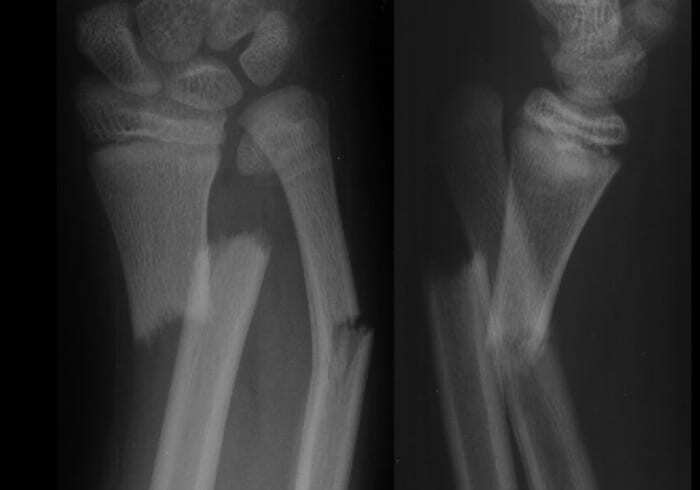 Following repair the hand should be splinted with the wrist at 30 degrees extension and the MCPJs in neutral position. Roberts and Hedges suggest a dorsal slab with malleable metal and foam extension to splint the affected finger. Can definitive treatment occur in the ED? In our case, the injury was about 20 hours old so the patient was admitted for IV antibiotics pending further wound washout and tendon repair by an orthopedic surgeon in an operating theatre. Butterfly Language – Is the Sign of the Horns Hand Gesture Satanic?